People who are not of European descent may worry about how they’ll be treated abroad. In short, does it matter that you look different from most Europeans? I’ve collected the following advice from a wide range of people of color who have lived or traveled extensively in Europe. First off, your Americanness will probably be more notable to the Europeans you meet than the color of your skin. Most Europeans can spot Americans a mile away. And, because American culture is pervasive worldwide, any stereotypes Europeans might have about your race are likely informed by our own popular culture — our actors, musicians, and athletes. For example, the former Obama presidency influenced the way many Europeans think about black Americans. By our standards, many Europeans — at least outside of Britain — tend to be opinionated and blunt. What’s considered polite conversation in Europe can be shockingly different from our own unwritten rules, and that often includes discussing race. Of course, this can be not only jarring but also hurtful — and yet some travelers also tell me they find it weirdly refreshing (“at least it’s out in the open”). Travelers of color report being frustrated by racial profiling, particularly at border crossings or airport security. (In many places, this is a somewhat socially acceptable means of targeting undocumented immigrants.) It’s quite possible you’ll be closely scrutinized — more closely than most travelers of European ancestry — before being allowed to continue on your way. If you’re concerned about how you’ll be treated in a specific destination, ask fellow travelers of your ethnicity about their experiences. 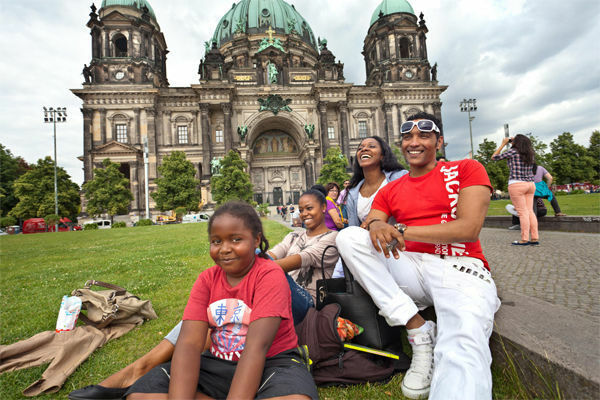 An excellent resource for African Americans, including destination-specific reports from several travelers, is the website I’m Black and I Travel. Or check out the Minority Travelers’ Forum section of my Travel Forums. No matter your ethnicity, the best advice for any traveler is to have a positive attitude. If you feel uncomfortable or mistreated, head somewhere else. And remember that most Europeans are as interested in learning about you as you are in learning about them.